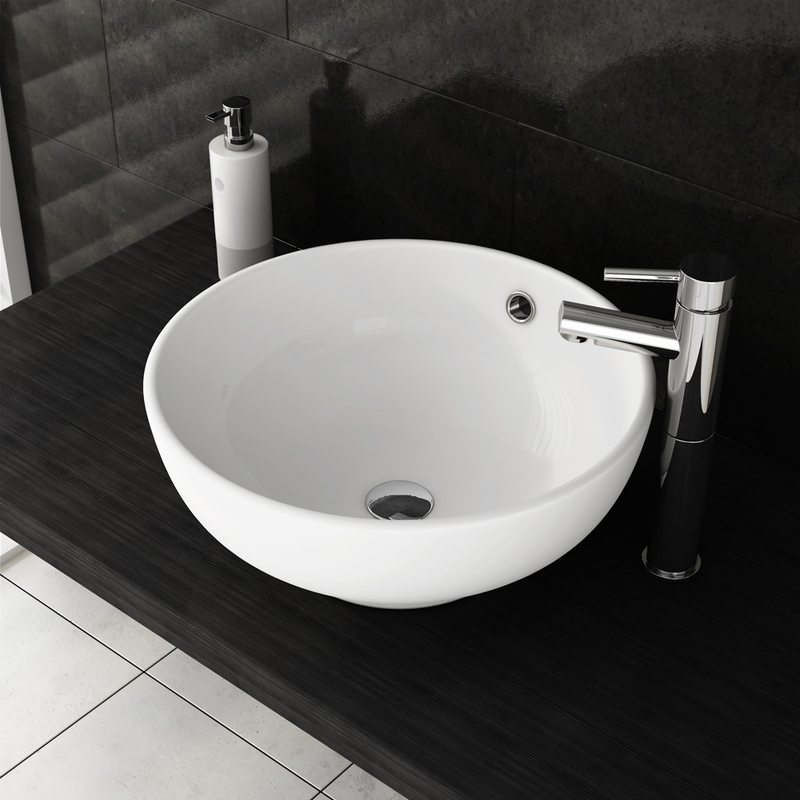 To many of us, the definition of basins is usually how we picture the basins in our very own toilets or bathrooms. But do we actually know the different types of basins and each of their benefits? In fact, the basin is the first thing we see when we enter our bathroom before we start and end of the day. Daily activities like washing up and brushing our teeth are spent at the basin. Besides the functionality of them, basins are also an essential bathroom décor item. This is why it will be good to educate ourselves on the various types of basins and which basin will suit us. 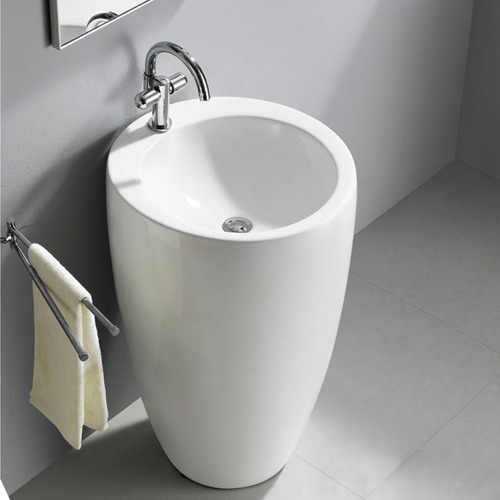 As unique as it looks, Pedestal Basins are a kind of its own. You will not see these basins often and they will definitely portray a strong impression in a bathroom. Equipped with a tall structure which stands all the way from the ground, a Pedestal Basin will be the centre of attraction giving your bathroom a modernised vibe. A pro factor of this basin is that it conceals all the pipes behind it and it is best suited if your exiting waste pipes have to be gone through the ground. However, you should only consider using a Pedestal Basin if you have a spacious bathroom and where space constraints are not an issue. This is because there will not be available storage space around or under the sink. Want your basin to blend in with your existing cabinets or vanity top? A Semi-Recessed Basin is the perfect choice for you. 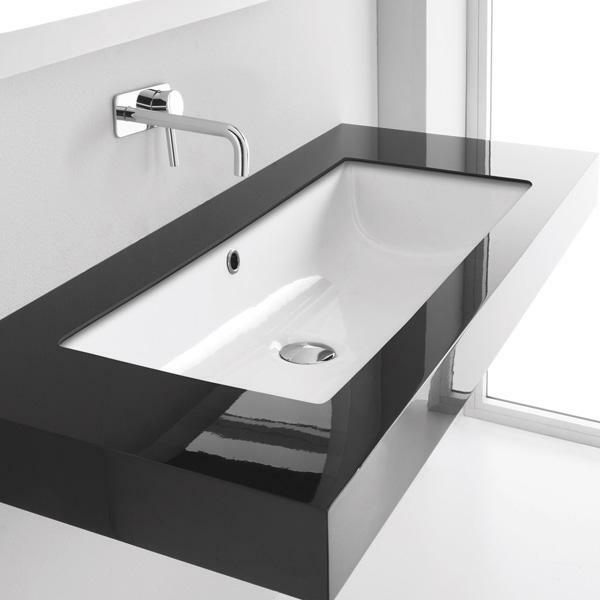 As its name suggests, this basin is designed in a way that compliments a furniture and part of the basin will protrude. It is usually installed on a countertop with cabinets and provide additional counter space for more bathroom necessities like your soaps and cosmetics. This way, it saves a significant amount of space and best suited for bathrooms with space constraints. Another beneficial factor is that it will be easier for elderlies and children to use the tap without getting blocked. However, as there is no countertop at the front of the sink, water will be easily split on the ground. The Under-Counter Basin sits underneath a countertop and its rims hidden. To install this, the countertop will have to be cut according to the circumference to the basin for a perfect fit. With such a design, cleaning will be much less troublesome and more efficient. Spills onto your counter can easily be wiped into the sink and only the interior of the basin needs to be cleaned. This design offers an extremely clean and tidy look since only the wash area can be seen. 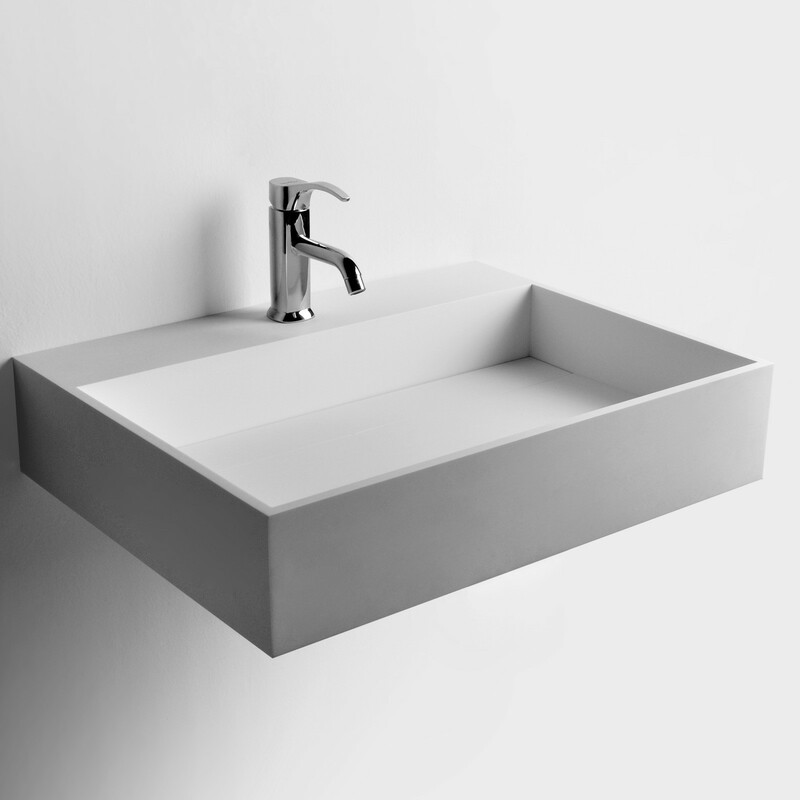 A downside to Under-Counter Basins is that majority of them require the tap to either be installed on the wall or onto the countertop which means that another hole will have to be cut out. Also, in the event that an Under-Counter Basin gets damaged, replacing it will be a problem as you have to find another basin with the same measurements. Laminated countertops should be avoided when installing an Under-Counter Basin as they do not isolate water well and will get damaged. 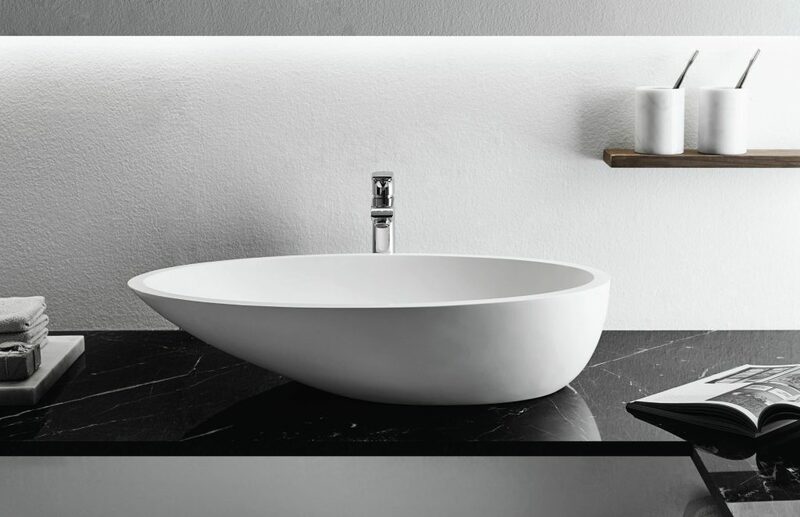 If you plan to go with a minimalist feel for your bathroom, Vanity Top Basins are the perfect choice as they bring out an elegant and simplistic vibe. They are installed onto a counter-top while covering unsightly pipes and can be suited with any counter-top material. As for Vanity Top Basins, you do not need to worry about water damaging the counter-top as the hole is fully covered by the basin. In addition, they will be more easier to install compared to a Vanity Top Basin. 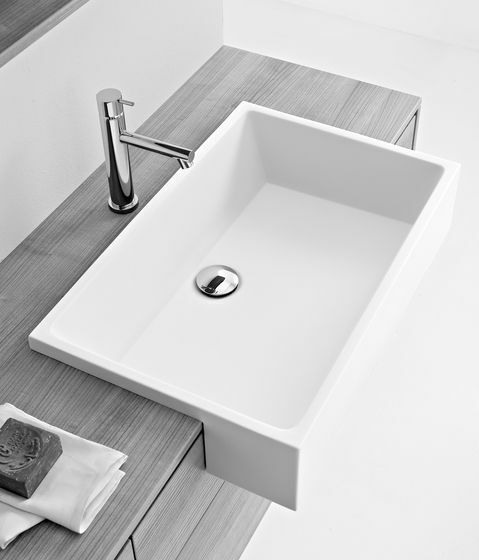 Wall Hung Basins are probably the most common and traditional basin out of all the variations. They are installed directly onto the wall and are the simplest to install. If space is an issue for your bathroom, consider Wall Hung Basins as they make the area look bigger and fulfills all functionality of a basin. Moreover, they are less costly compared to other basins. We hope that this post has helped you in gaining better knowledge on the different basins and choosing the right one for your bathroom. Hope you have enjoyed reading our post and share if you did!